The thing I loved most about this book was its authenticity. Bornstein's journey with Samson has the ending you hope for when working with an abused animal - that ultimately the animal overcomes most of his issues and learns to trust again - but Bornstein doesn't gloss over the fact that dealing with an abused half-ton animal can be incredibly dangerous (in Samson's case, probably insanely dangerous), that there will always be good days and bad days, and that - like humans - most animals will never fully overcome a history of neglect, and that their past is something to be accepted and worked with, not something to be held against them. Last Chance Mustang is the story of Samson, a formerly free-roaming, still wild-at-heart American mustang that was plucked from his mountainous Nevada home and thrown into the domestic horse world where he was brutalized and victimized. After years of abuse, Samson had evolved into a hateful and hated, maladjusted beast until the day he found his way to a rural Illinois farm, an ill-equipped owner, and one last chance. Mitch Bornstein's task was to tame the violent beast whose best defense had become offense. He had twenty years of experience fixing unfixable horses, but Samson would be his greatest challenge. 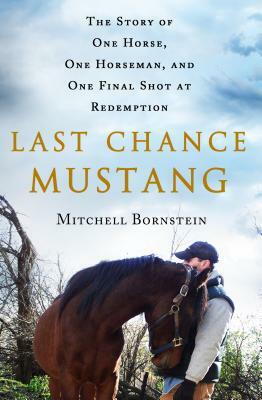 Through the pair's many struggles and countless battles, Samson would teach Mitch about the true power of hope, friendship, redemption and the inspiring mettle of the forever wild and free American mustang. Last Chance Mustang explains Samson's violent and antisocial behavior while addressing the remedial techniques employed to remedy these issues. The art of working with damaged horses is demystified. Though his story is sad, the reader is asked to respect Samson--not pity him. He has good and bad days, and he has a dark side. Like all of us, Samson is far from perfect. And his saga will move the reader to both tears and laughter. Part history lesson, part training manual, and part animal narrative, Samson's is a story that all readers will be able to relate to: a story of survival, of trust, and ultimately, finding love. At the age of seven, MITCHELL BORNSTEIN jumped atop his first horse, and in the thirty-eight years since, he has pursued his life's dream of working with damaged, abused, and difficult horses. College, law school, and nineteen years as an attorney led him on a journey to save the horses that no one else will. Bornstein lives in Wheeling, Illinois. Last Chance Mustang is his first book.